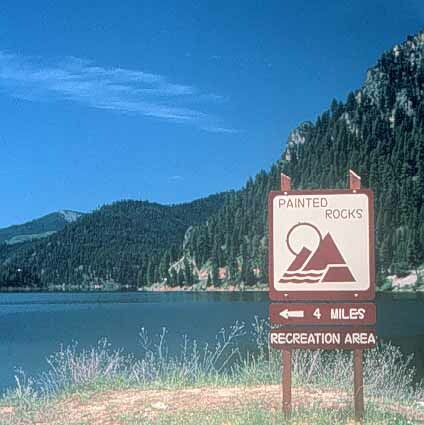 Located in the Bitterroot Mountains, Painted Rocks Reservoir offers boating, camping, and fishing in a scenic, western pine-forest setting. The park is 23 acres in size and is 4,724 feet in elevation. 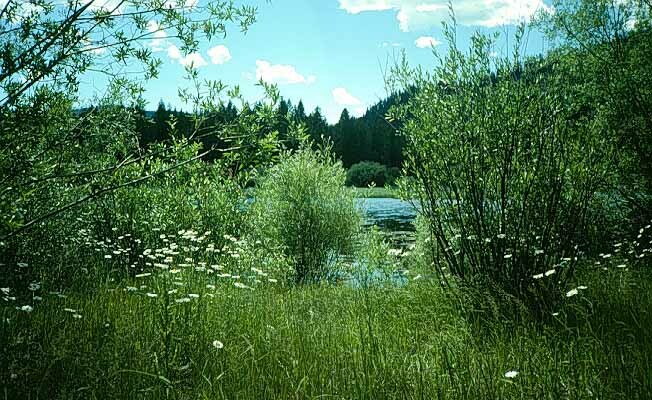 This area offers 25 sites with vault toiles, grills, fire rings, picnic tables, boat ramp and dock. The park is pack-in/pack-out and there is a 25 foot limit on the length of RV trailers. Water levels for boating can be poor at this site after 8/1 and there is a 14 day limit for camping in a 30 day period. A museum is located nearby in Darby. Painted Rocks State Park is located 17 miles south of Hamilton on US 93, then 23 miles southwest on Secondary 473.